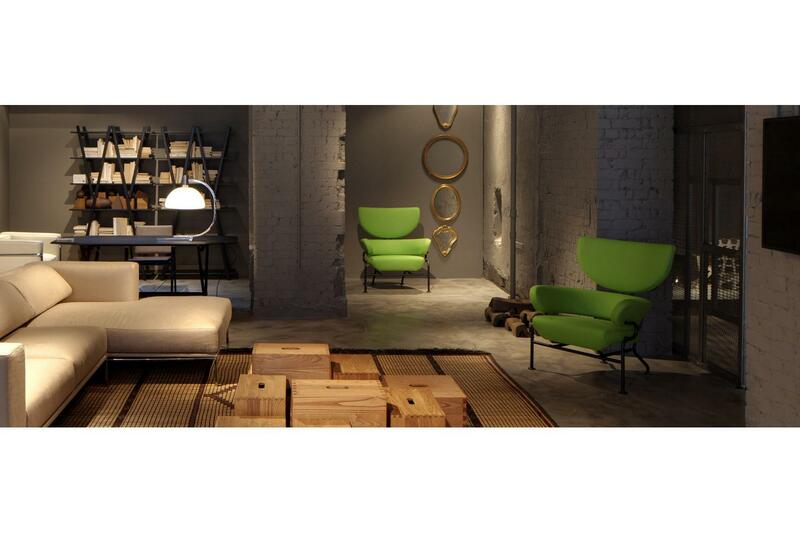 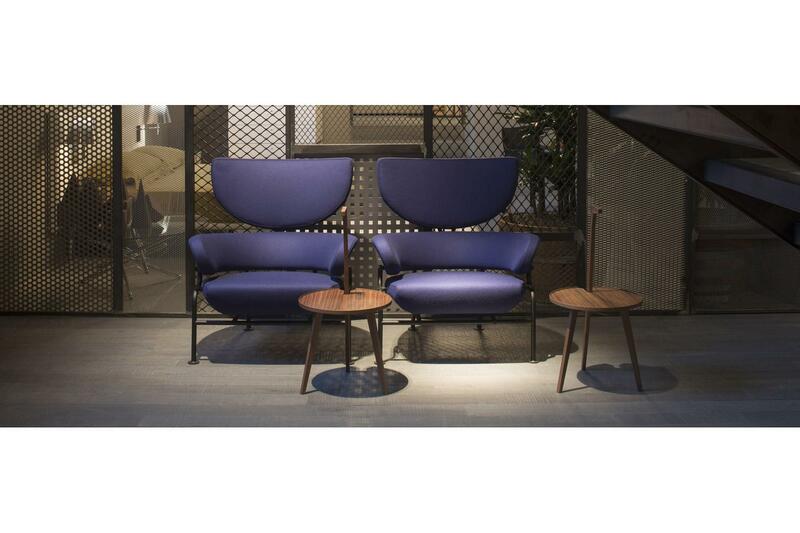 Armchair composed of three distinct elements: the deep seat, the back support ring, which describes a perfect semicircle, and the halfmoon headrest. 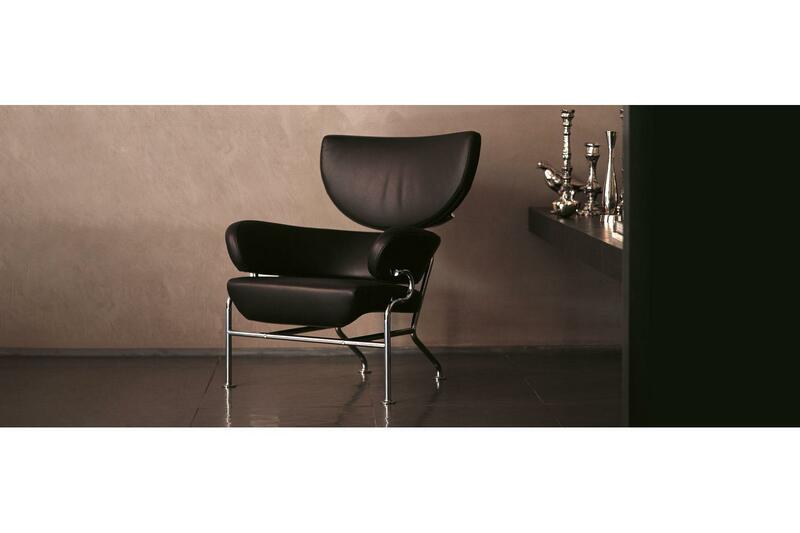 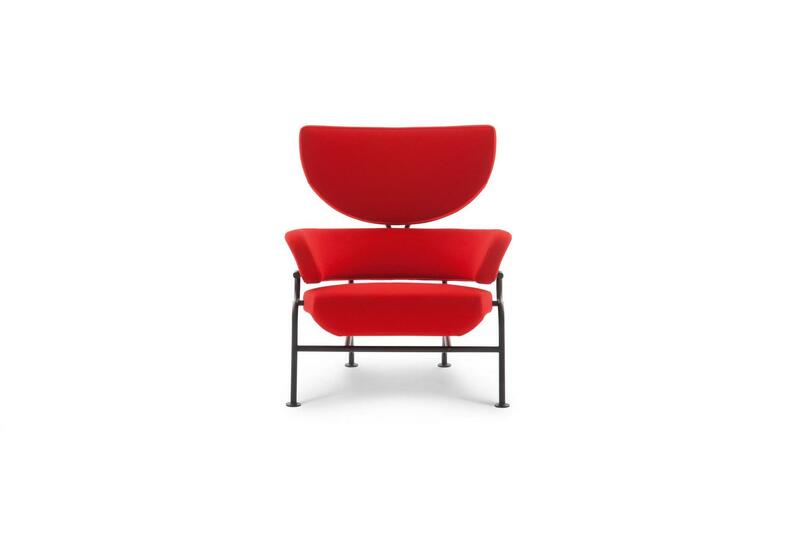 The frame in tubular steel, painted matte black or chromeplated, connects the padded elements. 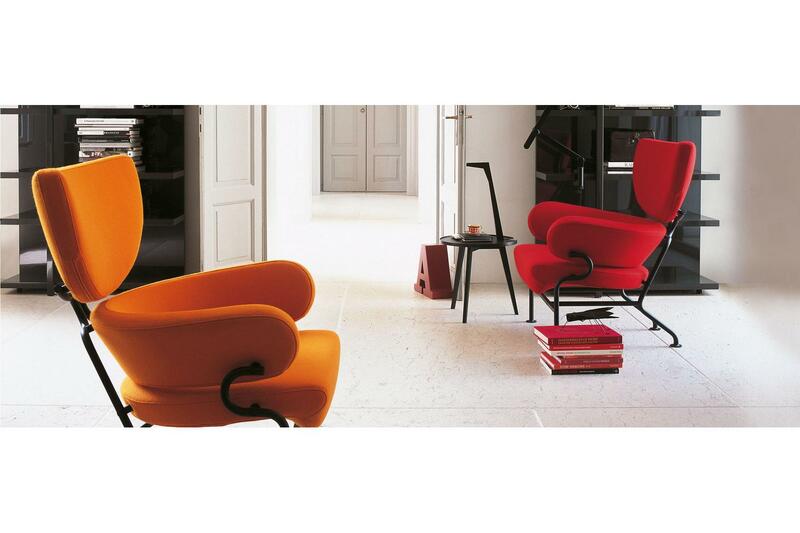 Upholstery in fabric or leather. 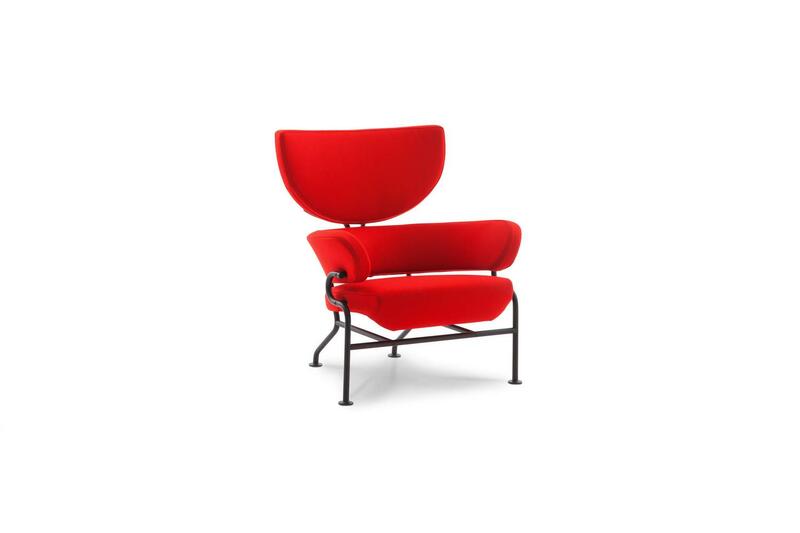 For a modern take on the classic bergère. 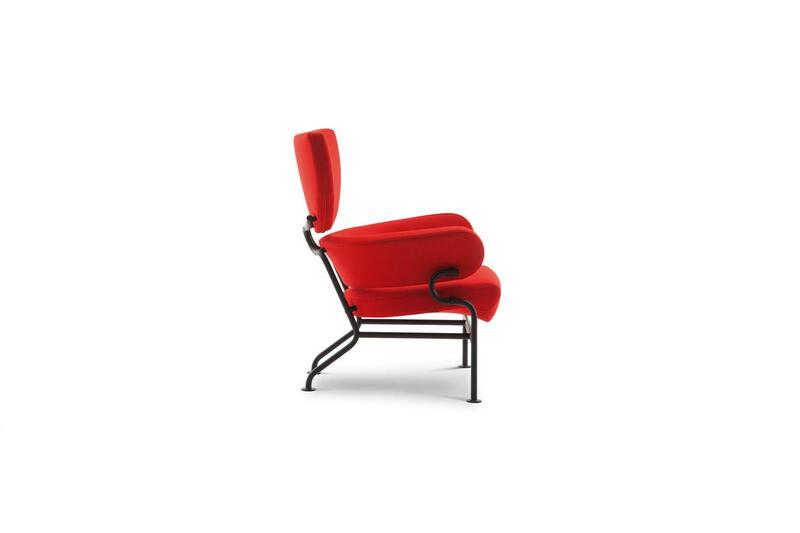 With a metal scafold frame to support its three upholstered parts: a deep seat, coupled with the warm embrace of its semicircular headrest and arms. 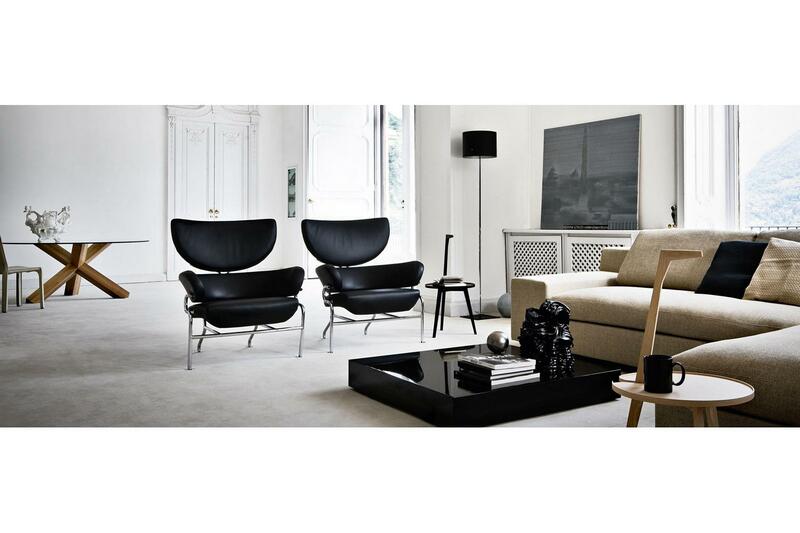 Each part has a clean geometric shape in keeping with Albini's constant aim of creating only the lightest of shapes.